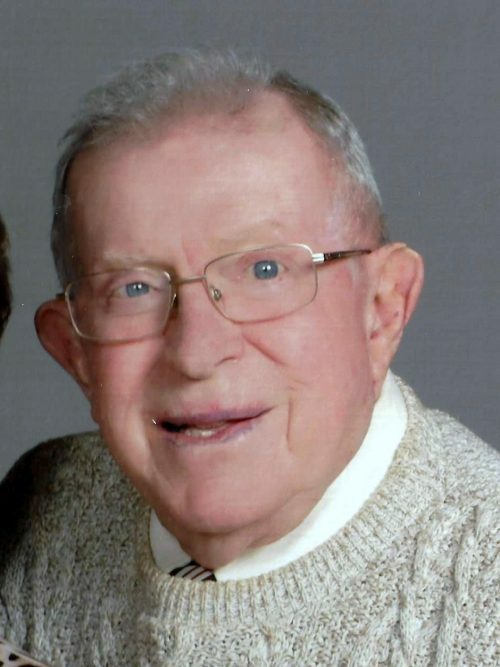 J. Richard McLean Jr., of West Seneca, a retired U.S. Customs supervisory inspector who was active with Catholic youth programs, died Sunday in Mercy Hospital after a brief illness. He was 86. Born in Buffalo and a graduate of South Park High School, he attended Buffalo State Teachers College, where he ran on the cross country and track teams. He also attended the University of Buffalo and Canisius College. He first worked at the General Motors Engine Plant in the Town of Tonawanda, where his father was a supervisor, then joined the Catholic Union and Echo, now the Western New York Catholic newspaper. When he transferred to the Catholic Youth Department, where he organized cultural and sports programs, he met Evelyn “Evie” Endres, who was a secretary and receptionist. They were married in May 1969. Mr. McLean joined the Customs Service in 1974 and had a 33-year career at the border crossings on the Niagara Frontier, primarily at the Peace Bridge. He met numerous celebrities, his wife said, including Olympic figure skating champion Katarina Witt and members of the rock band The Who. For his work in Catholic programs, in 1963 he was presented with the Pro Deo et Juventute (For God and Youth) Award by the Catholic Diocese of Buffalo on behalf of the National Conference of Catholic Youth. His father had received the award in 1961. Active as a volunteer at Queen of Heaven Church in West Seneca, he received the St. Joseph the Worker Award in 2016 from Bishop Richard J. Malone in St. Joseph Cathedral. At Queen of Heaven, he was a member of the St. Vincent de Paul Society and the Parish Council. He also worked for many years on the Mission Team and helped with the annual carnival. He was a volunteer at the South Buffalo Community Table soup kitchen for 20 years, was a member of its board of directors and served as president from 2003 to 2005. He was a longtime member of the Monsignor Nash Council 3875, Knights of Columbus, and took part in its bowling league for almost 40 years. He also played in several softball leagues and was a softball coach for many years. In addition to his wife, survivors include a son, Kevin; a brother, Bruce; and nieces and nephews. A Mass of Christian Burial was offered on Thursday, March 21, in Queen of Heaven Church, 4220 Seneca St., West Seneca.